Here's a helpful resource for those who want to venture into indie game development. Andrew Finch is an experienced environment artist who has worked on eight game titles and counting. He's very knowledgable and it shows in the book. In addition to the techniques shown, he also gives tips on how to create believable game environments. 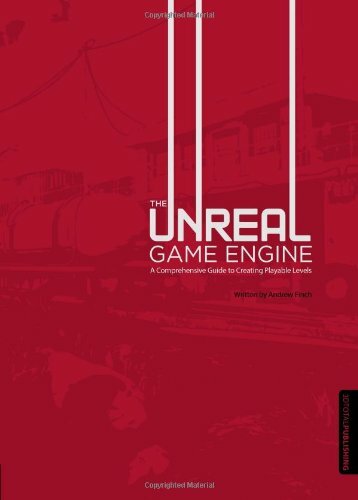 The tutorials are based on the Unreal Development's Kit (UDK) that's used for indie game development. This book is designed for 3D artists at an intermediate level. You'll definitely need some knowledge of the software so you can get familiar and up to speed quickly with the tutorials and know what's being shown. The software you'll need are UDK, Photoshop, 3ds Max. The tutorials go through the process of creating playable levels and assets. You'll get to create environments, weapons and vehicles. It covers the different stages in the pipleine, namely modeling, texturing, setting up materials, lighting and post effects. The tutorials are detailed. Just for the first example, you get to create an Italian courtyard, and you have to model the whole environment and props, texture and light the whole scene. That particular example is spread about eight chapters. There are other examples, such as creating a handgun, submarine pen, bus, zombie town and they, too, are spread over several chapters with pictures and step-by-step instructions to follow along. It's a useful resource for learning UDK.